We've helped thousands of HR managers, recruiters, and interviewers prevent costly mis hires! 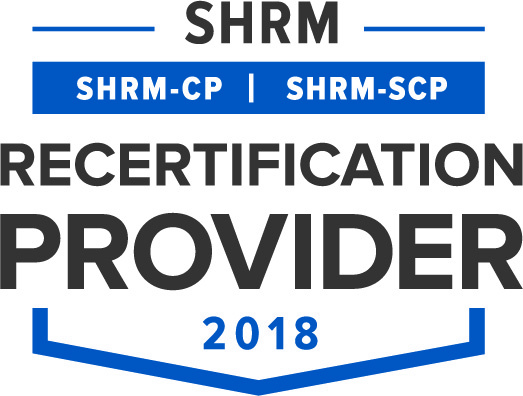 Landmark Makers is recognized by SHRM to offer Professional Development Credits (PDCs) for the SHRM-CPSM or SHRM-SCPSM. This program is valid for 30 PDCs for the SHRM-CPSM or SHRM-SCPSM. For more information about certification or recertification, please visitwww.shrmcertification.org. With over 10+ years agency experience, our team has learned why so many high growth companies have come to dislike recruiters. They've been poorly trained, improperly incentivized, and never address the underlying recruitment problems. We hate that, too. So decided to do something about it. We created a range of services that allows companies the help in the areas they need most, to attract the highest achievers, on their own! What is The Online Course? It's a compilation of only the best, up to date, field tested techniques that produce the highest results in today’s modern, high-tech, social media driven talent acquisition market. This 13 point, 30 hour course divulges the best SECRETS used by top recruiting experts, HR Professionals, and Fortune 500 companies. With its bite-sized chunks, you can immediately implement these strategies into your company to ensure you identify, attract, and retain only the highest performers available in your market! It is designed to replace our in house training system, with the flexibility of learning on your own time and saving your company thousands of dollars. Oh yeah...and it's pending 30 SHRM curriculum credits. So What If I Just Want a Position Filled? In many cases, you may just want to get a position filled. Whether it be a sales person, executive, web developer, or operations guru. Contact us for a free, no cost consultation. Our staff will be able to assess your situation and design the best course of action to help fill your team with the top talent. We can recruit for you. Or send you to a partner if it's too niche of a position. Our core focus is on creating lasting results for you, not placements that pad our pockets and leave you frustrated. Landmark Makers comes up with recruitment strategies to solve talent problems versus responding to requests to fill a position.